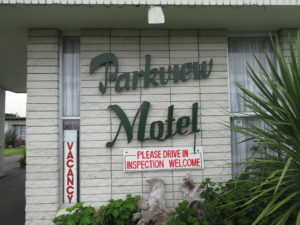 Parkview Motel is an ideal base to explore the many interesting attractions along The Twin Coast Highway. Whether you are looking for adventure sport, cycling, family activities, rich history or a chance to play in freshwater lakes, Dargaville is the perfect destination. Local attractions include The Kauri Museum in Matakohe, The Kumara Box, Dargaville Museum, Baylys Beach, Kai Iwi Lakes, and scenic walks in the breathtaking Trounson Kauri Park and Waipoua Forest Sanctuary for viewing Kauri trees by day and kiwis by night. Dargaville town center has interesting shopping including fashion, jewellery, Kauri woodcraft, homeware, cafés and restaurants. The town proudly displays art to view and purchase. Quality souvenirs representing the Kauri Coast and New Zealand, many created by locals, highlight the unique mix of contemporary and traditional New Zealand. Dargaville is central to surrounding areas such as Whangarei, Opononi, Baylys Beach, and Kai Iwi Lakes, all of which can be accessed within approximately a one hour drive or less. 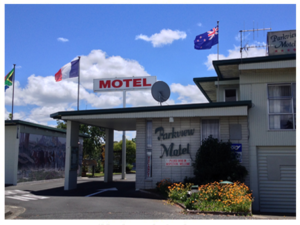 Whether your interest lies in outdoor activities, historical attractions, creative locals or just taking time out, the Parkview Motel Dargaville provides the perfect accommodation so that you can relax and enjoy!